Two of Brighton's fixtures in March have been switched to Sunday afternoon kick-offs. The Seagulls' home clash with Arsenal is now on March 4, with a 1.30pm kick-off. 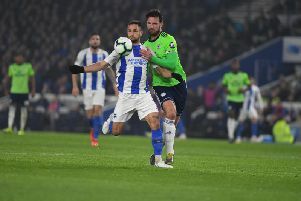 Albion's visit to leaders Manchester City has been moved to March 18, with a 4pm kick-off, although a new date will be found if either City or Brighton are in the quarter-finals of the FA Cup.